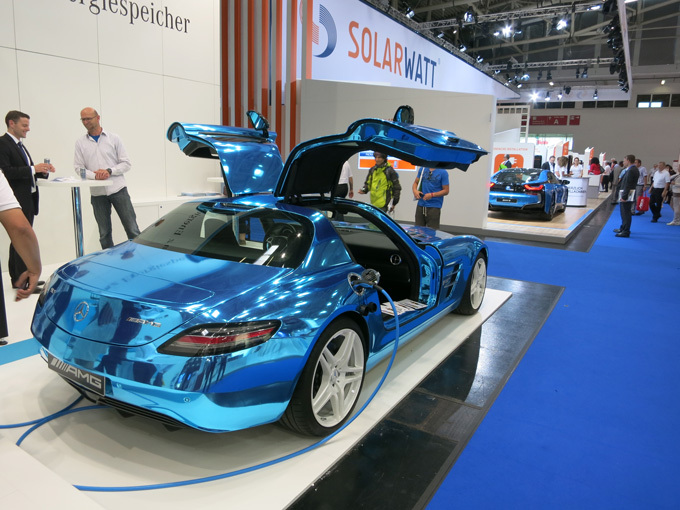 Missed this year’s Intersolar 2015 in Munich? If you didn’t have the chance to visit, or if you spent your days outside at the biergarten, this report might be of your interest! 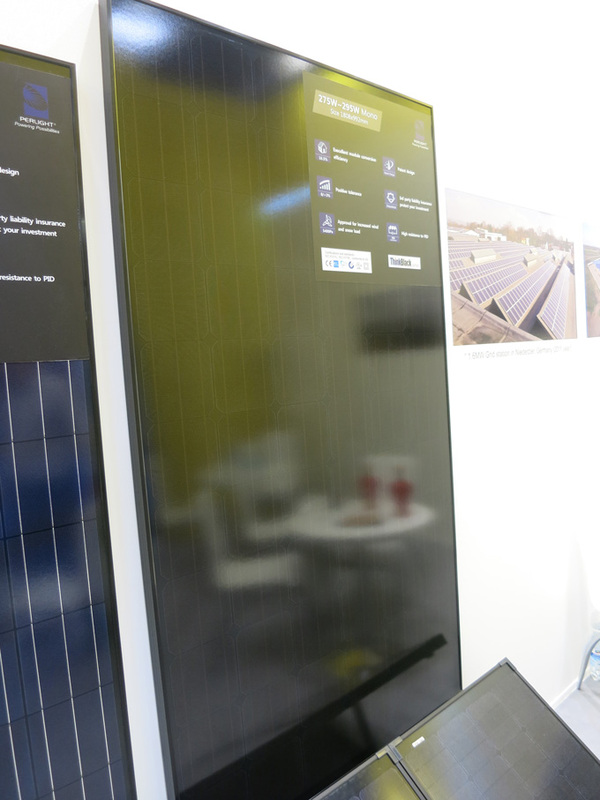 Team SINOVOLTAICS attended the world’s largest solar PV exhibition from June 10-12. 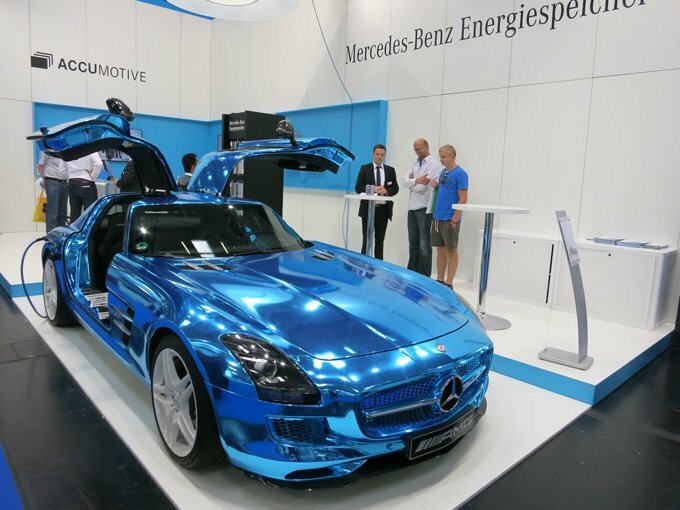 Here, we highlight the companies, products and technology that caught our attention. 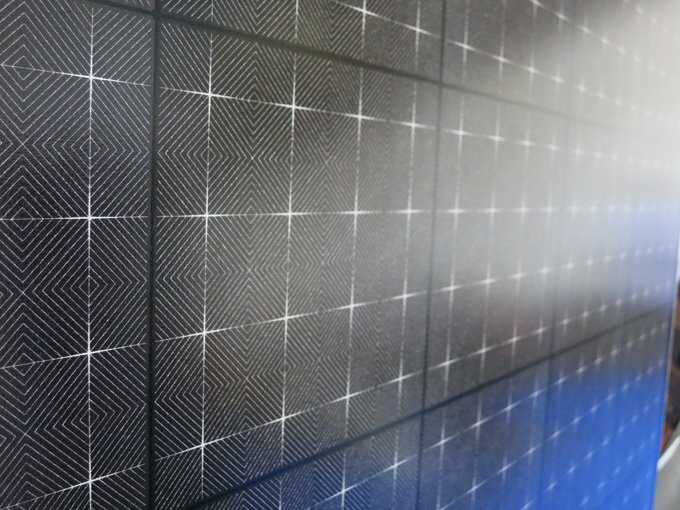 Solar modules made with Dutch Eurotron fully automatic lines look pretty neat. 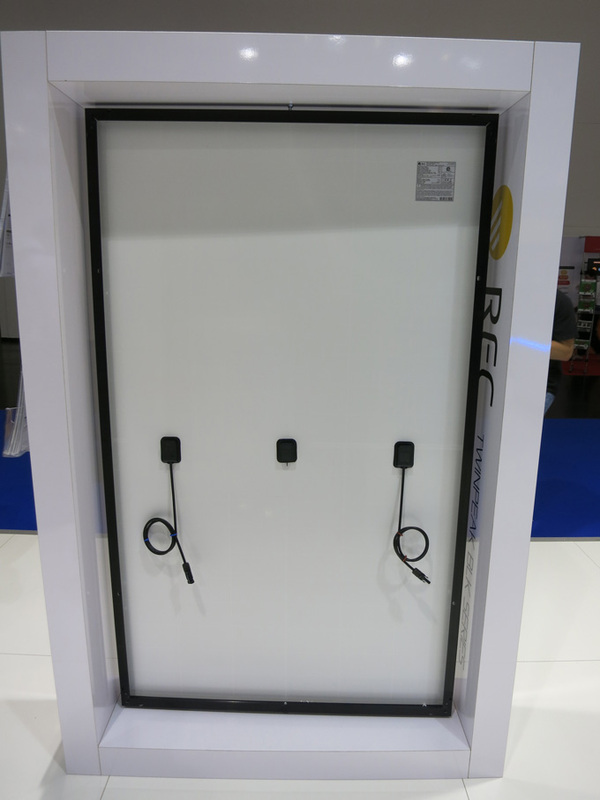 This is a double glass panel with n-type MWT back contact cells. Eurotron is definitely leading the way with its manufacturing equipment, supporting all the latest back contact cells: MWT (Metal Wrap Through), EWT (Emitter Wrap Through) and IBC (Interdigitated Back Contact). The company sold a couple of manufacturing lines to Chinese manufacturers already and we can expect this type of module becoming more common in the months to come. 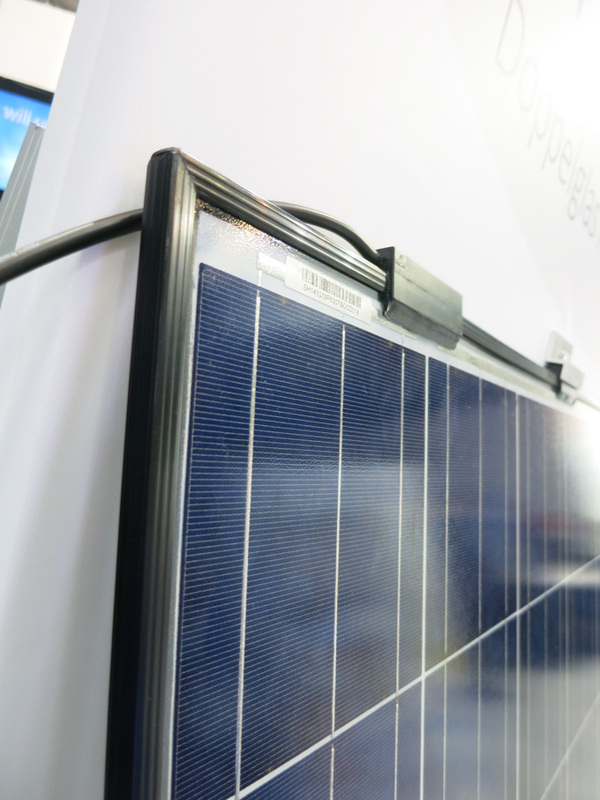 The company introduced its REC TwinPeak module at Intersolar Munich. 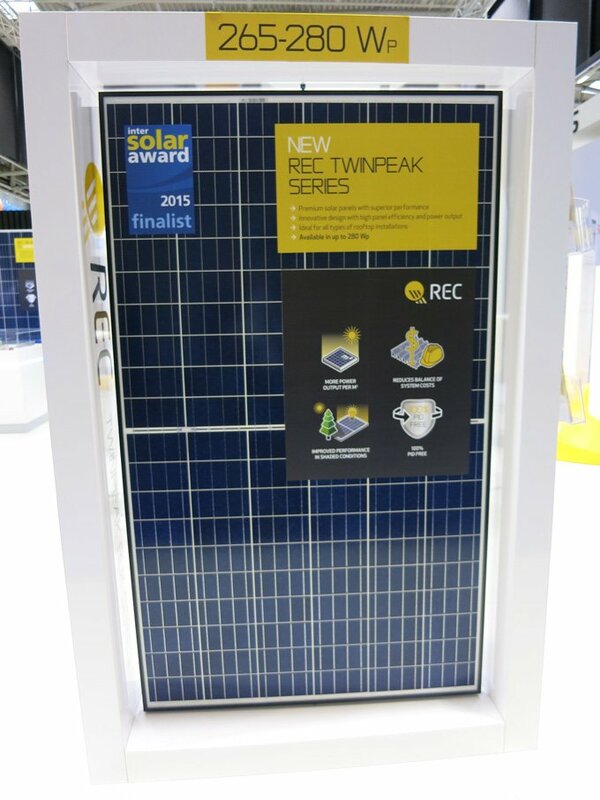 REC claims with its TwinPeak solar modules it gains an additional 10W per solar module compared to standard module designs. 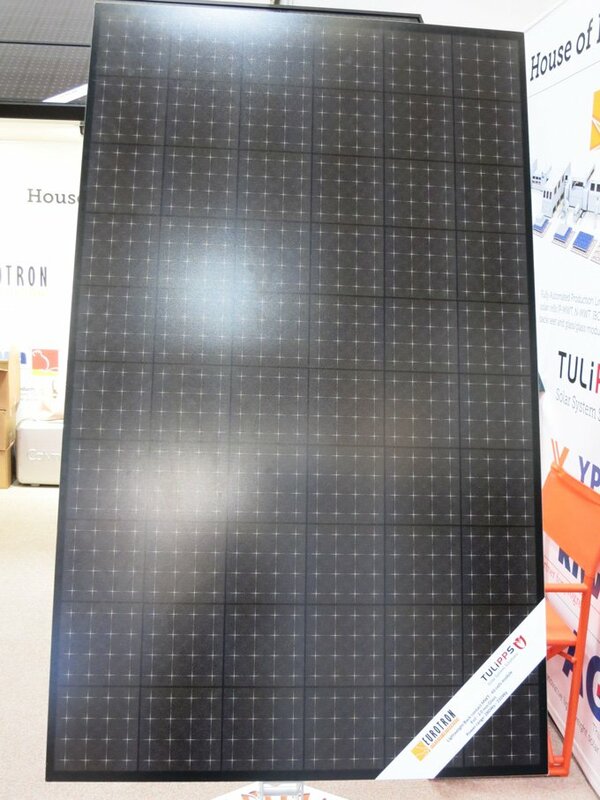 The design is different from conventional solar modules: it is made of half 156x156mm poly cells. 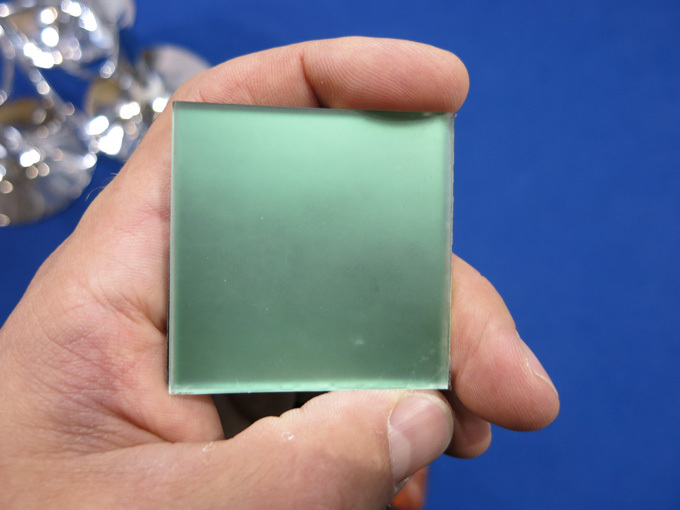 The company is vertically integrated and therefore able to already cut its ingots in two to create half cells (instead of cutting the wafer in two with a laser cutter). The half cells come with a lower current and lower losses. They’re using 4 busbar solar cells. As far as we know, REC is the only PV manufacturer that operates its factory from Singapore, with silicon from Norway. Unusual panel design, unusual country for manufacturing! 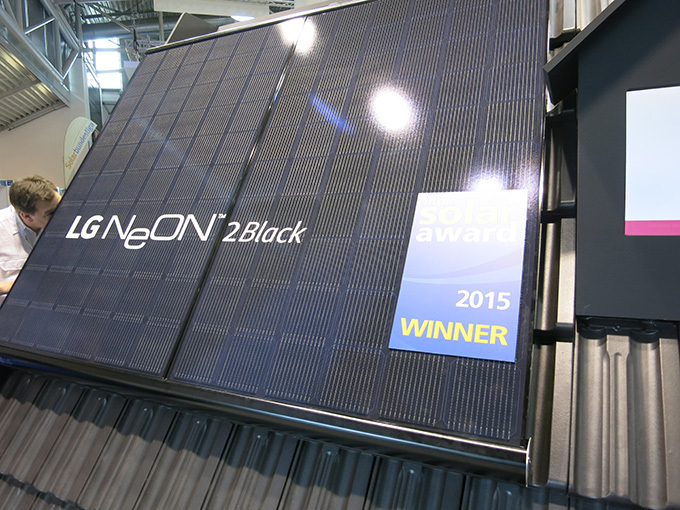 REC was granted the Intersolar Award 2015 for this new solar module. 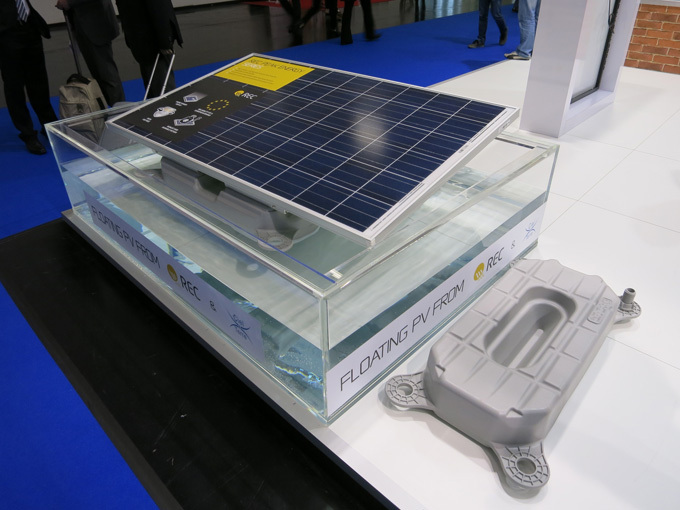 Ciel & Terre was showing off, in cooperation with REC, its pilot of floating solar modules at the main entrance of the Intersolar exhibition. 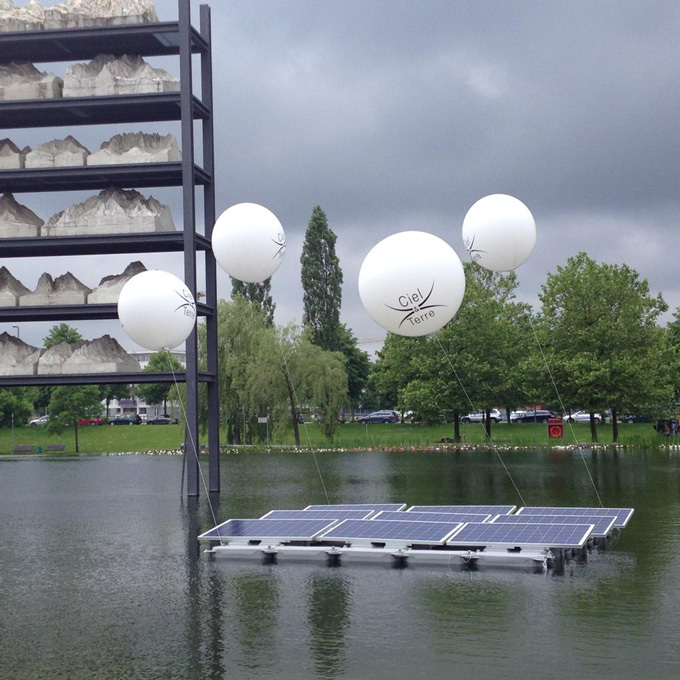 Their solution is called Hydrelio floating PV system. 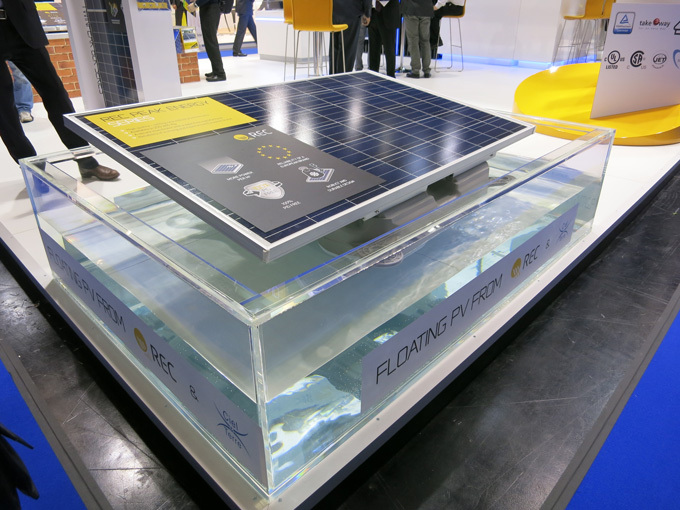 Floating solar modules sounds like a brilliant idea. This system is quite easy to install: no tools needed. The water has a cooling effect on the solar modules, which may increase electricity production. Something to worry would be the risk of corrosion when installing panels on the water.. still, several large scale solar systems are being built as we speak, for instance this 2.3MW floating PV power plant by Kyocera in Japan. 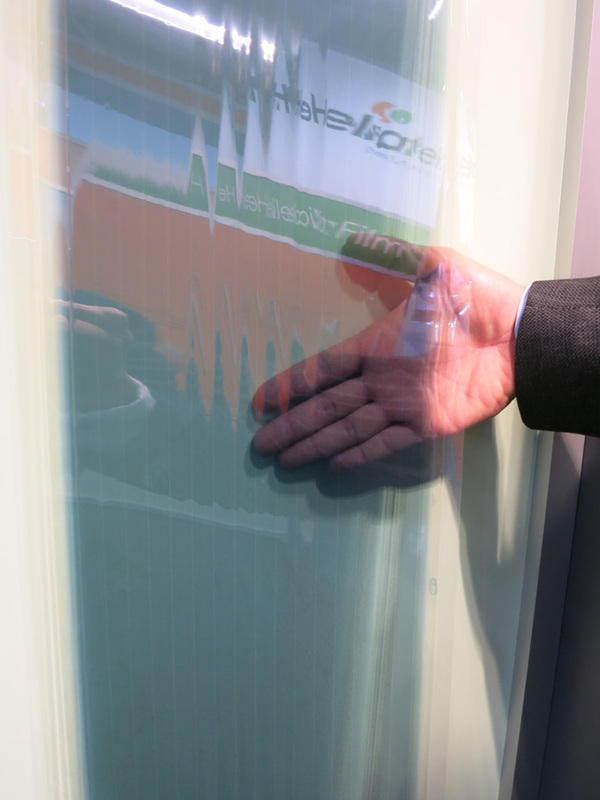 Organic solar cell technology by Heliatek looks promising. The company is the leader in the field of organic cell technology, and is partly funded by giants RWE and BASF. 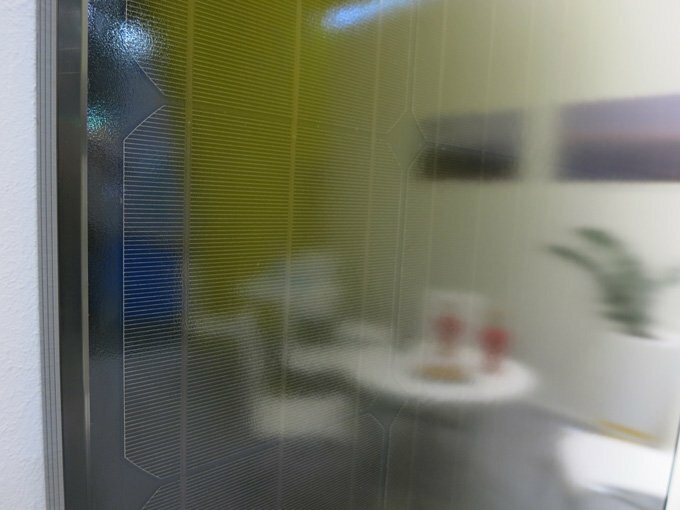 It’s (semi) transparent rolls of solar cells are suitable for a wide range of applications and can be applied to different kinds of substrates. 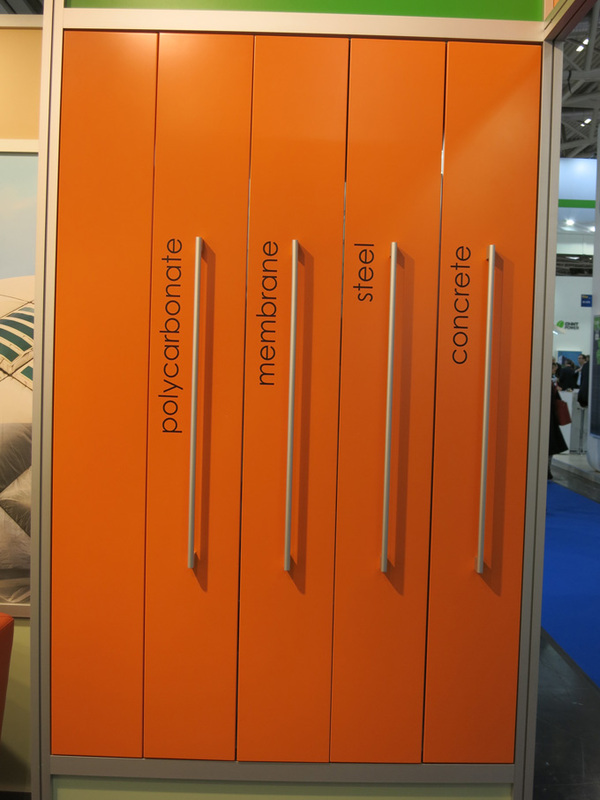 Heliatek showed organic cell panels adhered to different substrates made of polycarbonate, steel, membrane and concrete. That opens up applications! Its 6% efficiency is of course a big minus, however, with progressing technology work and research, the efficiency is gradually increasing. An advantage of organic cells is, that when compared to CIGS, organic cells don’t require any rare elements such as Indium. 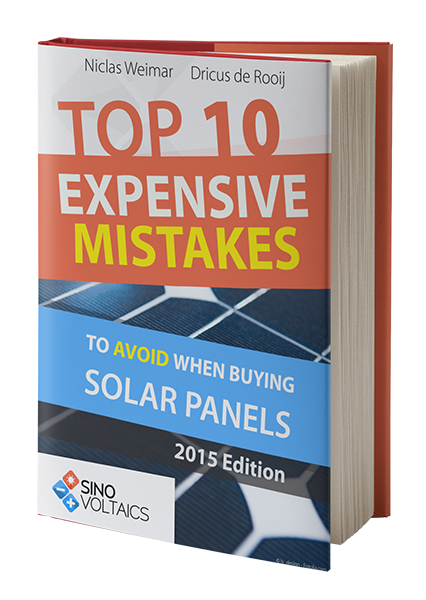 The lifetime of these solar modules is around 15 years. The organic front barrier is only 200 microns thick and may degrade over time. This technology is expected to be a bit less durable than glass modules, but 15 years lifetime is not bad at all. 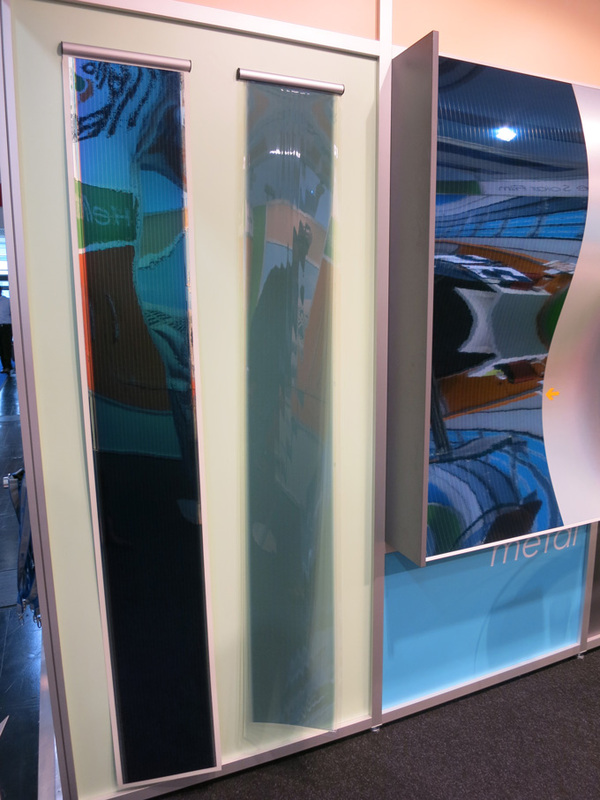 Swiss company Kromatix showed its colored solar panels. The color comes from an ultra thin coating on the inside glass and can be made in any color. Panel efficiency does suffer a bit. Depending on the type of color, the power loss can be 5-10%. With current technology standards, that’s the price to pay to install solar modules that can be integrated into architectual buildings without sacrificing aesthetics. 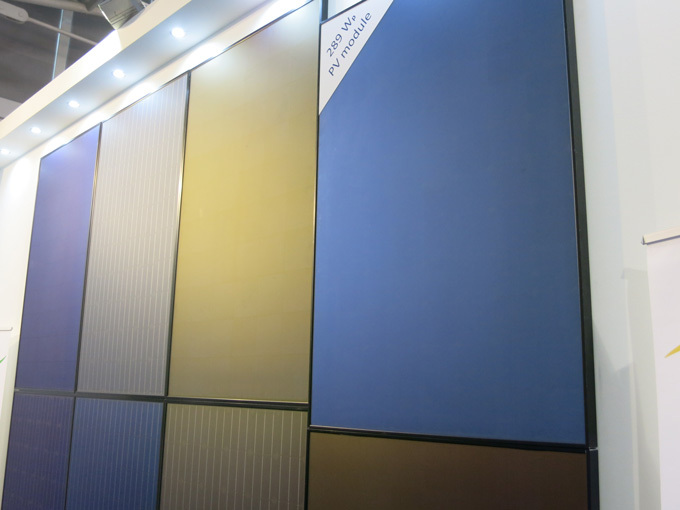 These panels are made in Dubai by Emirates Insolaire, a JV between Dubai Investments and SwissINSO. Perlight is one of those rare manufacturers that has taken the effort to manufacture a solar module that nobody else is offering. 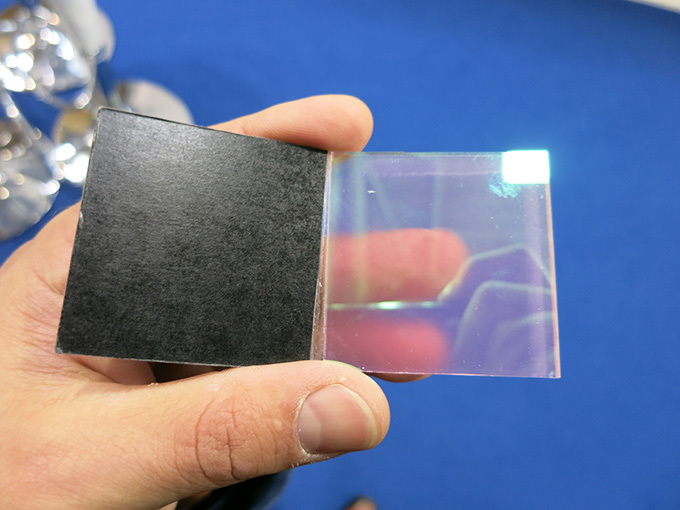 Perlight’s ThinkBlack series is a fully black module with p-type mono cells. The special detail about these all black solar modules is the black tab wire..
Perlight is the only manufacturer we’ve seen that makes the effort to completely hide the tab wires, which does good for aesthetics. When asked how they’re able to manufacture panels like this, their sales staff didn’t like to comment. LG did it again: they managed to win the Intersolar Award again with an innovative solar module design. The main point of innovation here is the use of Cello wire: instead of the standard 3 busbar design, the company uses 12 round, thin wires. The advantage are the reduced electrical losses. Another advantage could be to reduce the effects of micro cracks, as the 12 thin wires covers the entire surface of the solar cells, also in case of cracks. Quite similar actually to Meyer Burger’s SmartWire Connection Technology (SWCT)? The black solar modules look nice and the efficiency is excellent. Downside here is that the company, just like previous time it won an award, doesn’t disclose any information on the pricing. High efficiency is an advantage, however at what price? If it’s above regular mainstream prices, the market for such modules would be very limited. 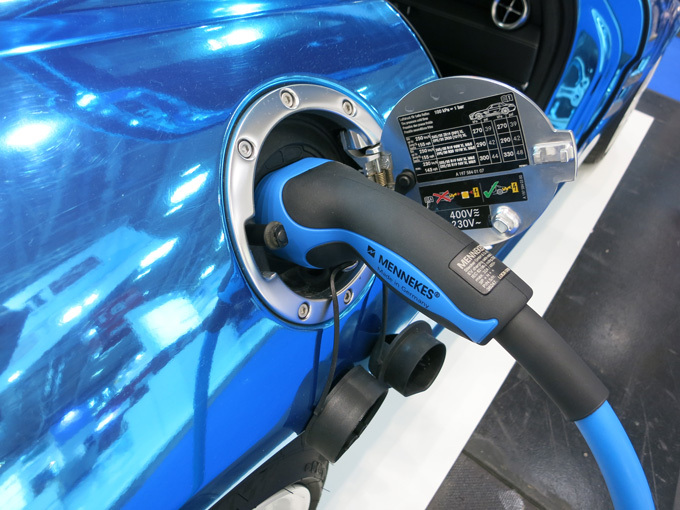 We had a look at battery storage from car manufacturers, known for their high safety and quality standards. 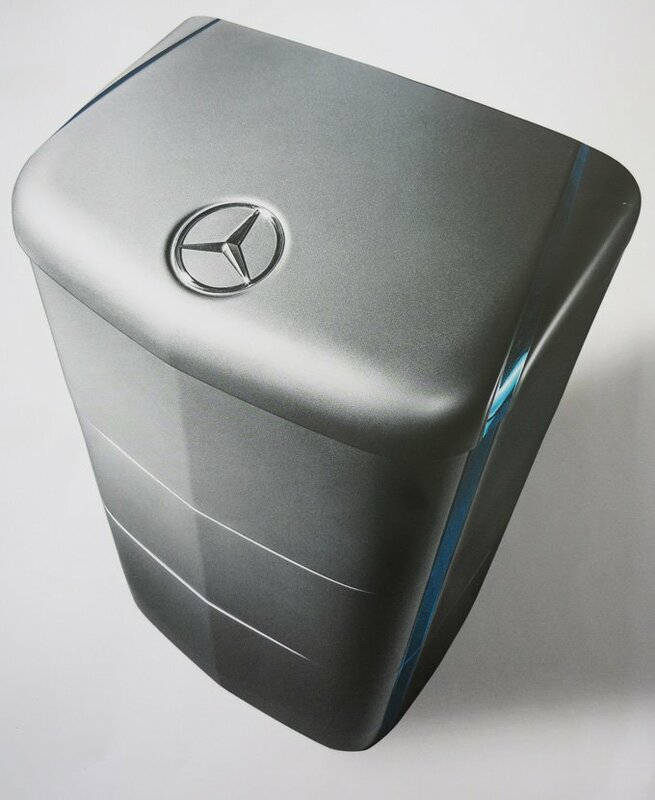 Daimler Mercedes-Benz, with its 100% subsidiary Deutsche Accumotive, introduced its first energy storage units for households. 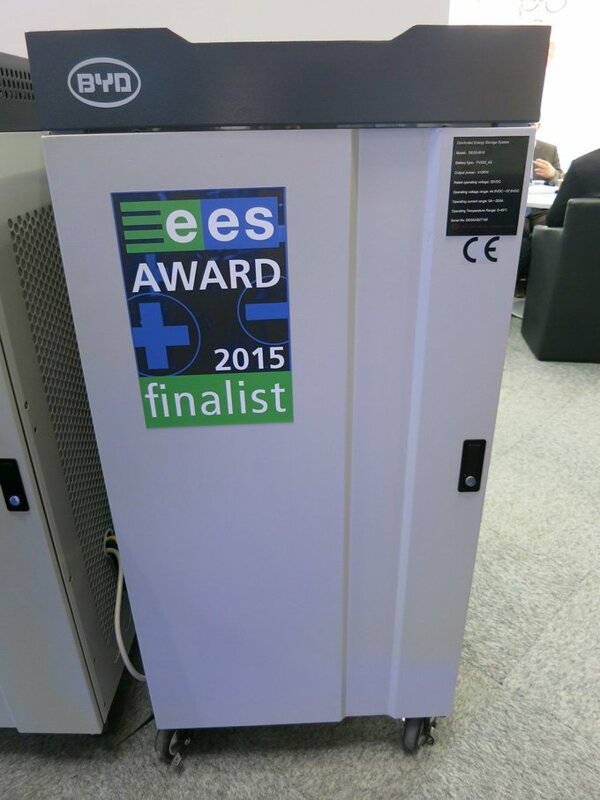 Their energy storage solution with an energy content of 2.5 kWh can be combined with max. 8 of the same units, into an energy storage plant with a capacity of 20 kWh. Also BYD, that uses its Lithium-ion batteries in electric vehicles, presented its storage solutions. Designed by FENECON and manufactured by the Chinese high-tech company BYD, the PRO Hybrid is the flagship product of BYD residential home energy storage systems. 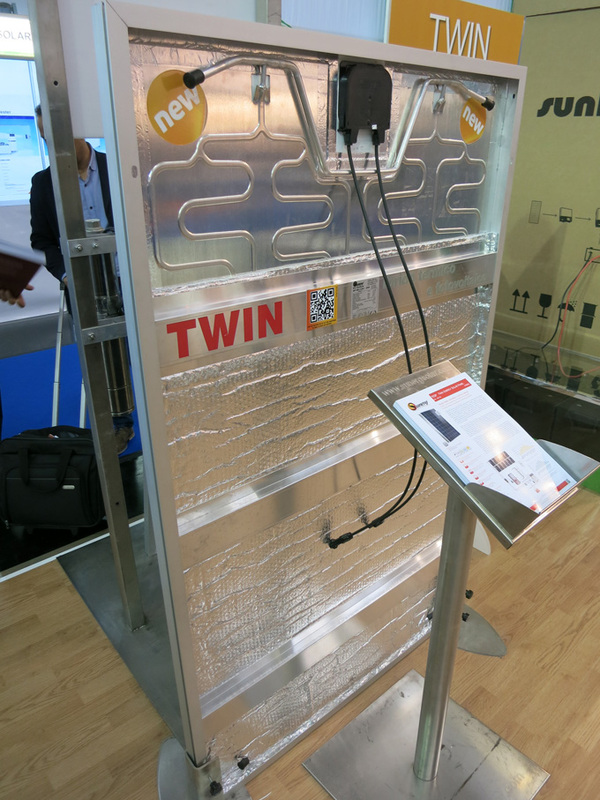 This new solar module from Sunerg is called the Twin module. 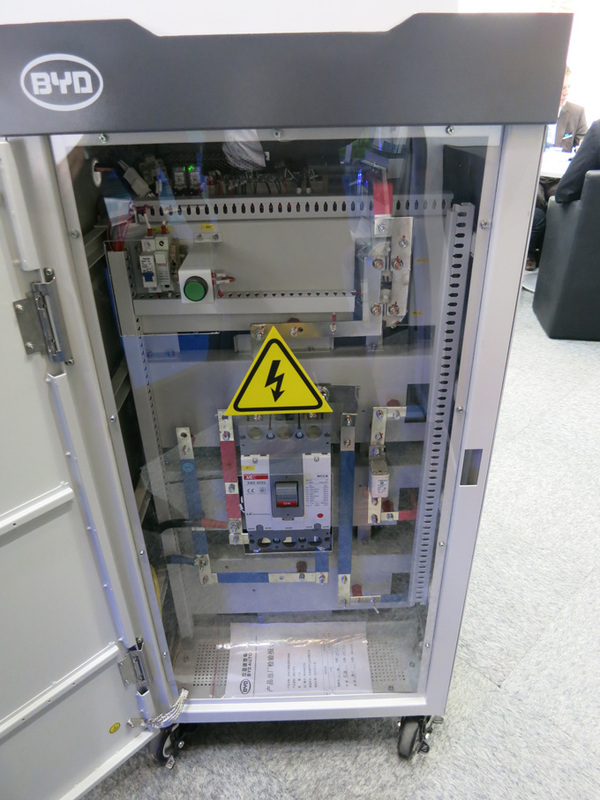 It’s a hybrid module that integrates a thermal module into a standard PV module. The main advantage here is the cooling effect of the water flowing through the back of the PV module, which will lead to increased output. The modules can store the heat energy directly in a heat accumulation tank, and can be connected to a heat pump for home heating or for domestic hot water. Another advantage is the reduction in roof space used. 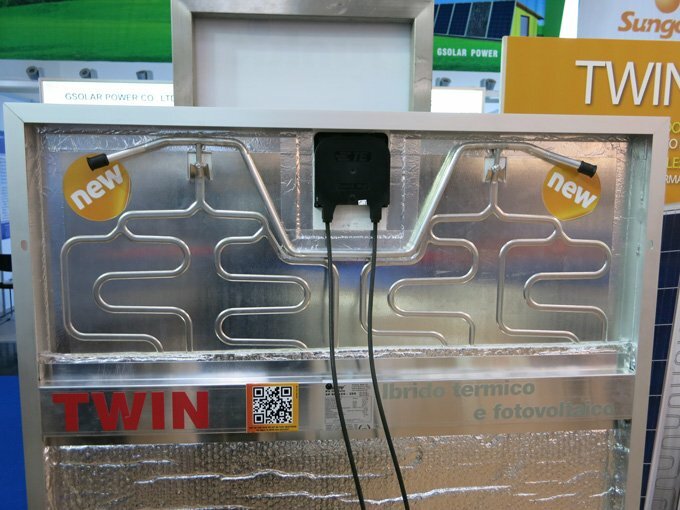 Anyone came across products worth mentioning at Intersolar Munich? Feel free to comment! Can I meet you at Intersolar San Francisco? The Intersolar Awards are a joke! Some nominated companies are not even exhibiting in Munich. The moment you nominate the maker of a Universal Clamp for the Intersolar Award, you either have a lazy jury or the industry has completely run out of innovations. And I don't believe there's lack of innovation, the article above proves that. P.D.